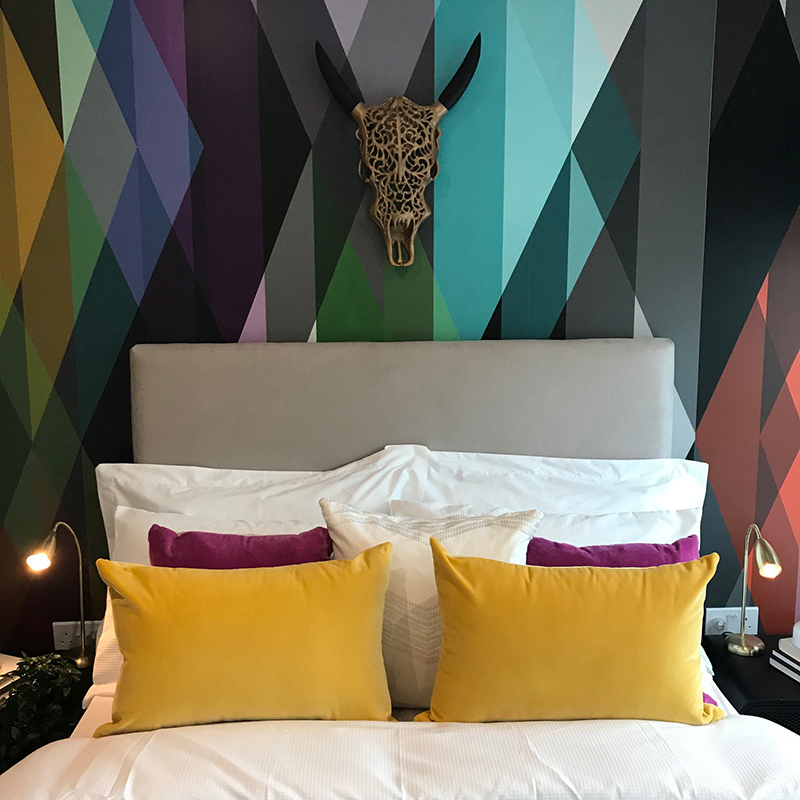 And finally the last in our series of Colour Predictions, as presented by Colour Hive Limited, the colour experts behind MIX Magazine, at Decorex 2018. They profiled four key colour stories for 2019/20, Wild, Story, Solace, and now Vibe, coming right at you with a bit of a visual slap in the face. In our own words, we see that ‘Vibe’ is current, it’s now. It’s immediate and temporary. Here today, gone tomorrow. The best way of describing it is as ‘For the Feed’, a colour approach utilised for that urgent search for the best ‘Instagrammable’ image, for the one that will stand out from the crowd, sit head and shoulders above the rest, stop people in their scrolling tracks. 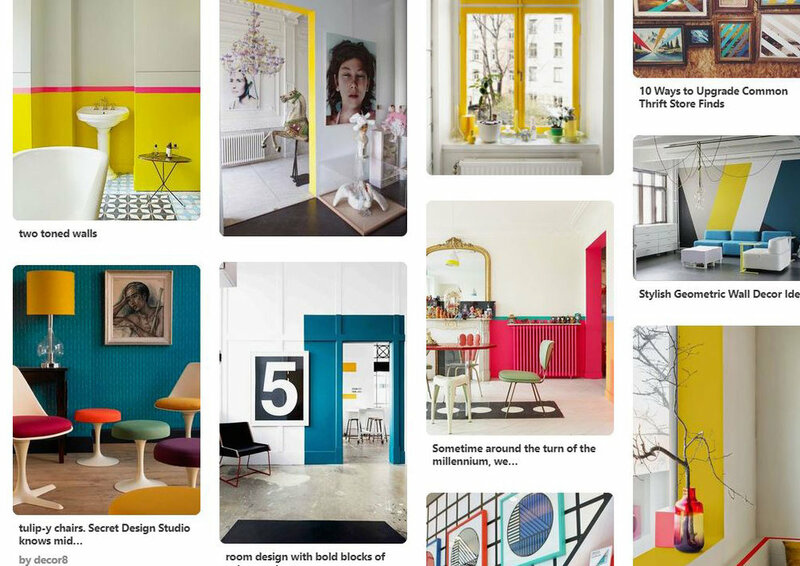 Colour curated for maximum bold, graphic impact. A little bit hedonistic, a little bit experimental, pushing boundaries and seeing what the virtual feedback might be. Vibe uses our social media culture as a huge tool for the dissemination of visual ideas and design influences, receives the feedback and alters itself in response, constantly evolving and changing. 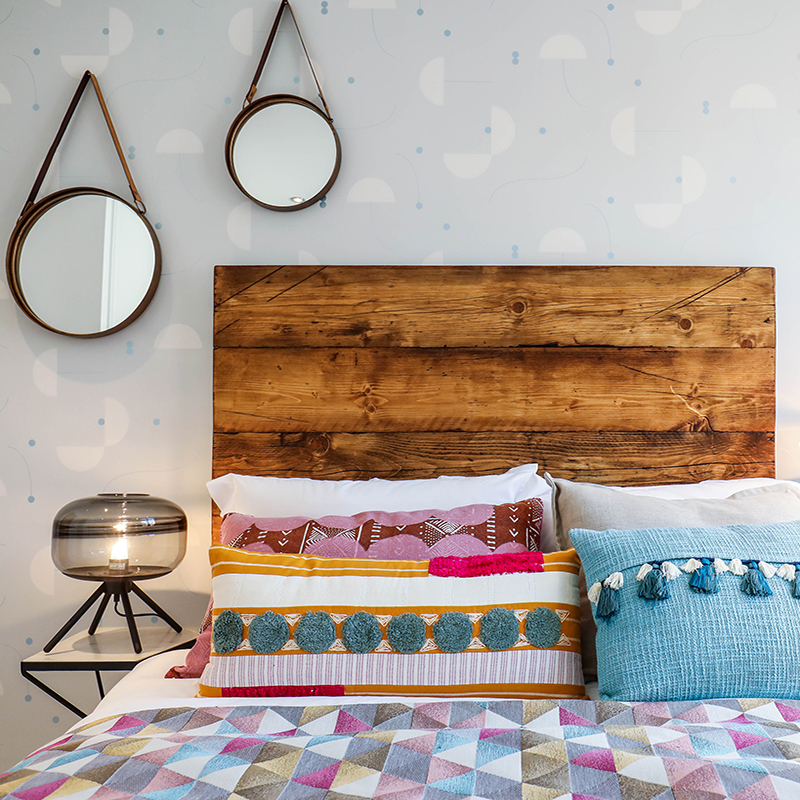 So, in terms of what this one looks like, think Californian brights, mad pops of colour against more useable bleached out tones, digital pattern, cartoon black outlines, high gloss textures, a little bit of organised chaos. 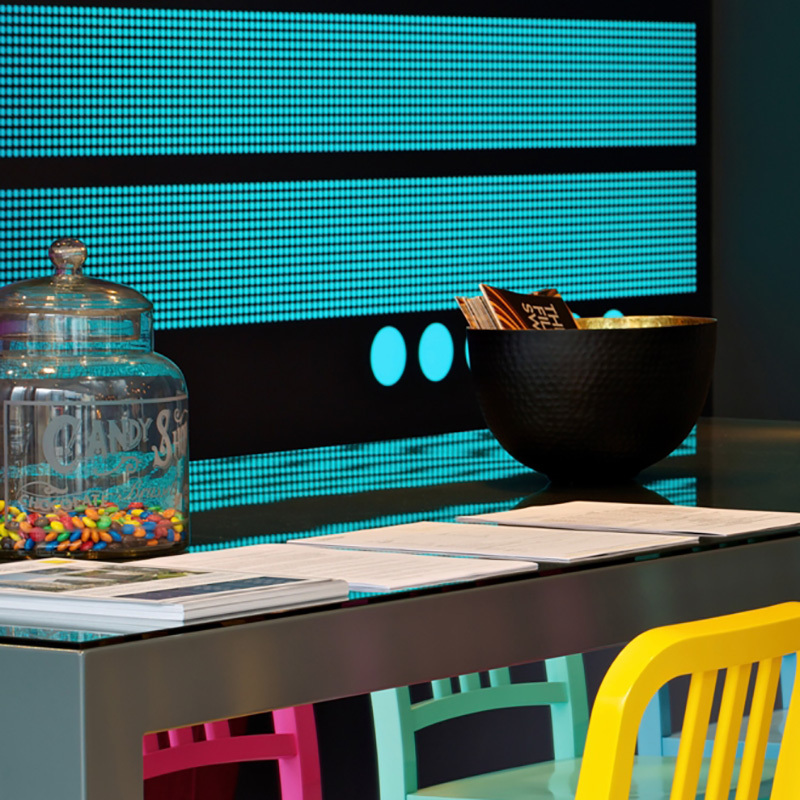 Neon and electric tones, all thrown into the mix together. And all so amazing capturable in an Instagram square format. All the better to get a click on the ‘like’ button. And there are quite a few of our own schemes that fit very firmly into this category. 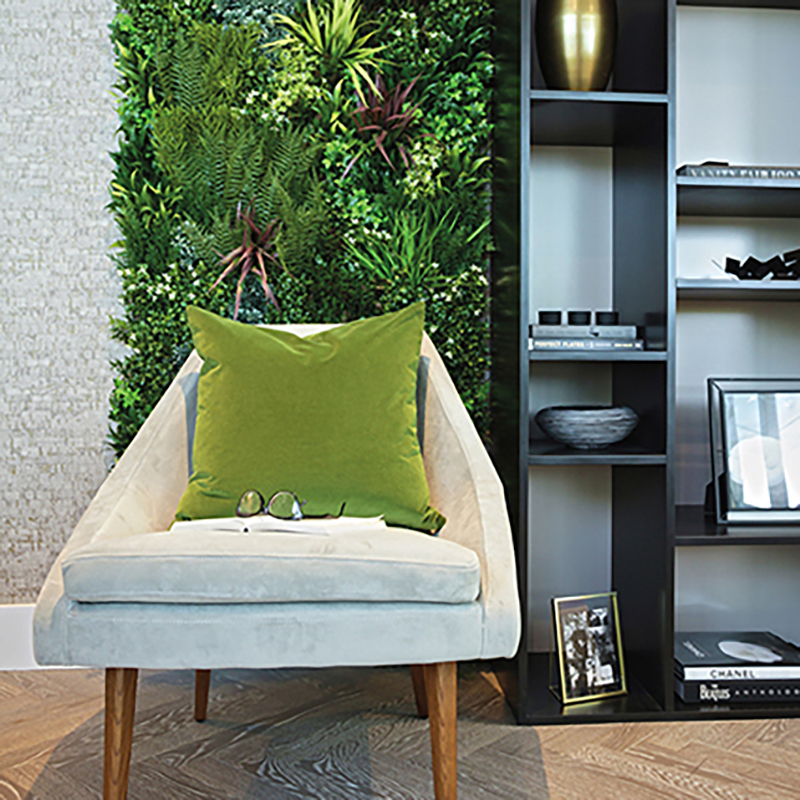 As a company we seem to quite confidently tap into this ‘Vibe’ vibe…. 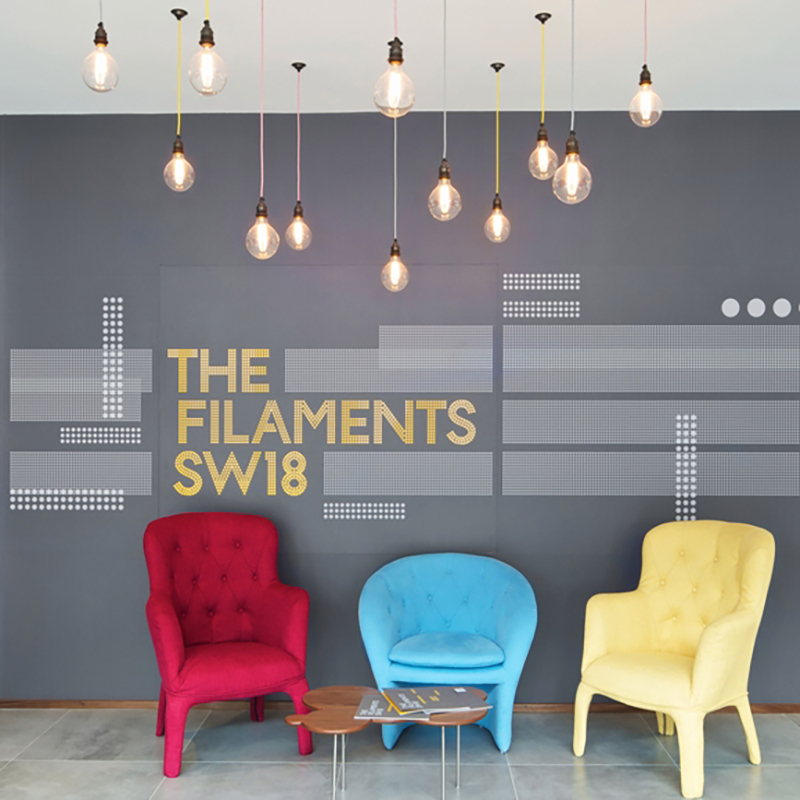 Using light and colour to it’s greatest effect this marketing suite design for Mount Anvil at their Filaments development in Wandsworth really illustrates the effectiveness of dropping strong pops of acid colour against a deep charcoal backdrop. 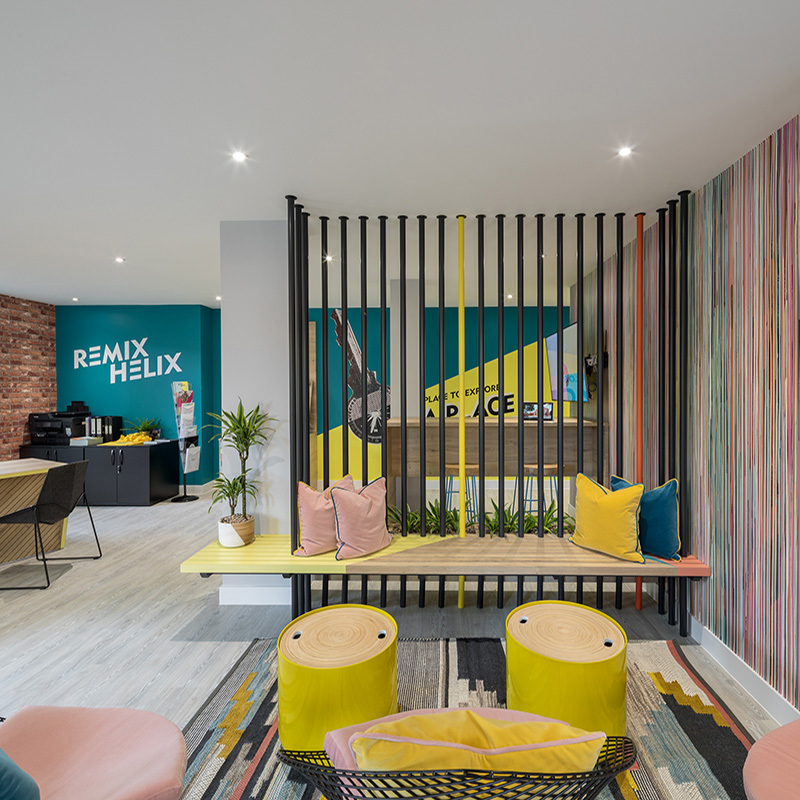 A entirely liveable version of Vibe, this interior utilises colour and a strong aesthetic against a calmer background, allowing a vibrancy into the space without overpowering it. 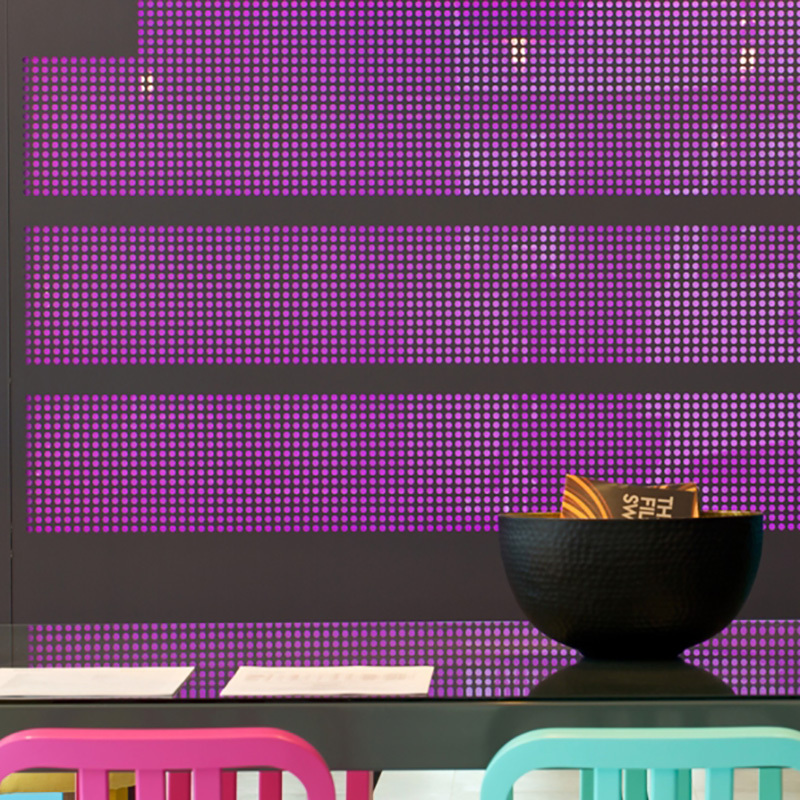 This show home for Network Housing Group at their very aptly named ‘Vibe’ development in Wembley. Pattern and colour and unique pieces and then a bit more colour, edgy and vibrant and eye-catching. Providing those perfect Instagram moments, these images would surely be the ones you halt your scroll for? 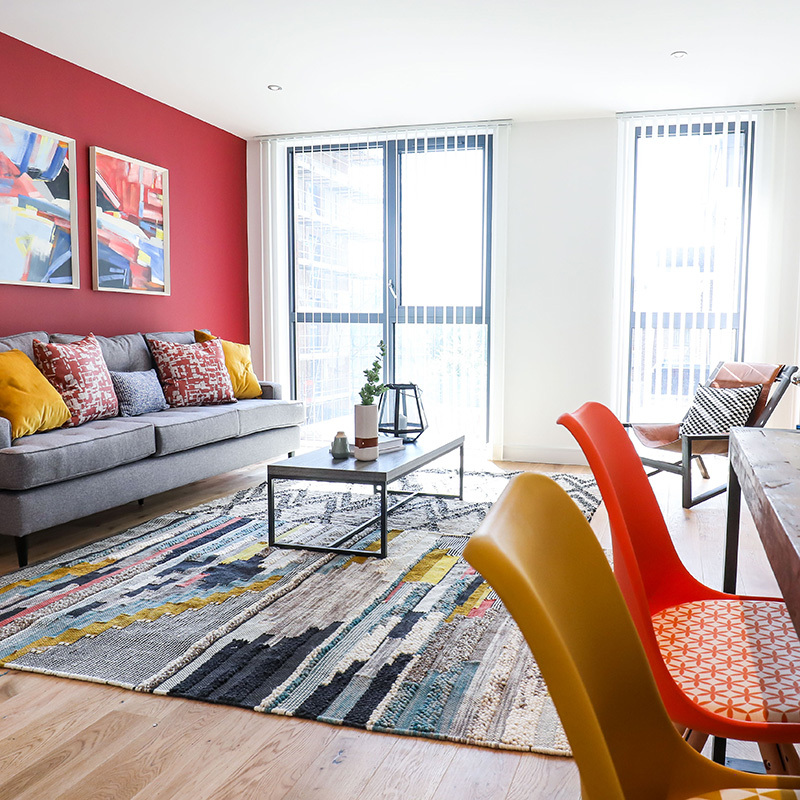 This show home for London Square at their Caledonian Road development. 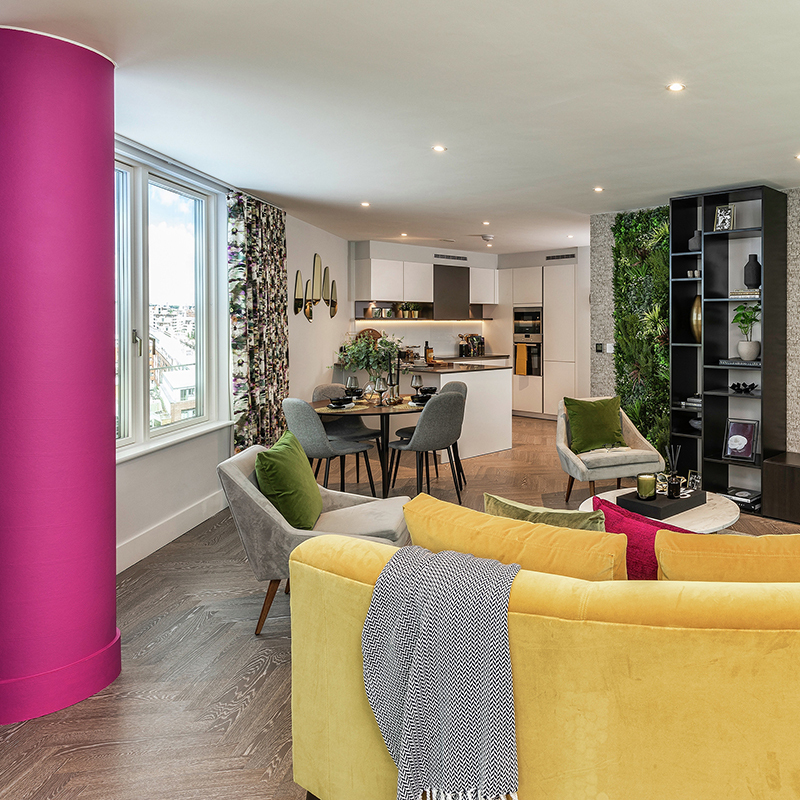 Literally a kaleidoscope of colour, bright neons brought in against a moody background, this scheme for Hyde New Homes at their Wing development in Camberwell lets the colour do the talking. Or the shouting. 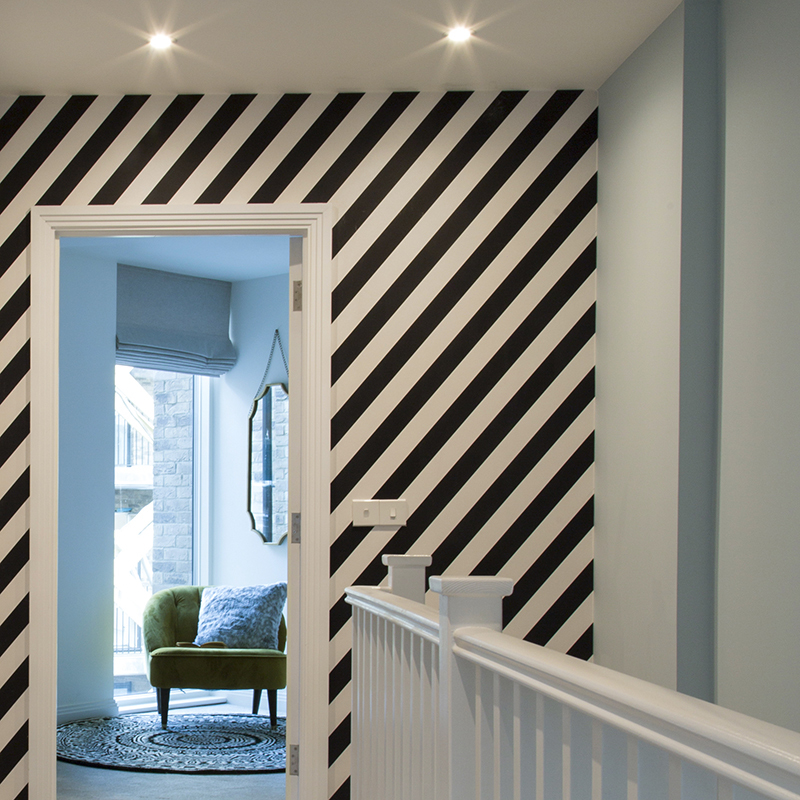 Another blast from the past, and one that we might say was a bit of a forerunner of the current movement to bringing bright colour into an interior in a random and eclectic way. This marketing suite for Mount Anvil at their Loxfords development way back in the noughties was the first of its kind, a bold and brave marketing gesture. That’s us. We’re done predicting for this year. You can look back at last few weeks Journal for ‘Wild’ and ‘Solace’ and ‘Story’ and fill your boots with the colours that will be hitting the headlines in 2019. Enjoy!